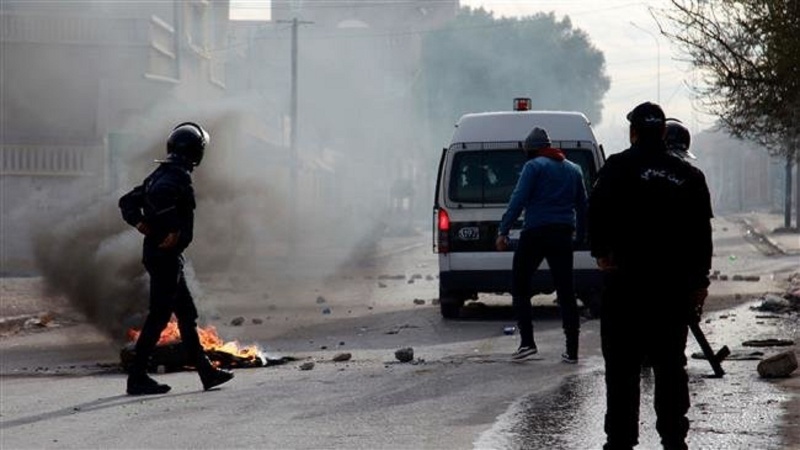 Clashes have erupted between protesters and security forces in a city in Tunisia following the funeral of a journalist who had set himself on fire over harsh living conditions. Police fired tear gas at protesters, who had taken to the streets of Kasserine City, 270 kilometers from the capital, Tunis, on Monday after the tragic death of Abdel Razaq Zorgi, a 32-year-old journalist, who died late Monday. According to Interior Ministry spokesperson Sofiane al-Zaq, six members of the security forces were injured and nine protesters were detained. Authorities also deployed reinforcements on the main streets of the city, which after a brief calm on Tuesday morning, was again the scene of protests and clashes. People clashed with police outside the governor’s office. “For the sons of Kasserine, who have no means of subsistence, today I start a revolution. I am going to set myself on fire,” Zorgi said in a video published before his death. The National Union of Tunisian Journalists, which confirmed his death, said Zorgi died protesting “difficult social conditions… and lack of hope,” and that it was considering organizing a general strike in the media sector. The incident was a reminiscent of the self-immolation of a 26-year-old street vendor in protest to economic hardship in Tunisia in late 2010, which sparked an uprising across the country and led to the overthrow of long-time dictator Zine el-Abidine Ben Ali in January 2011. That revolution then set off revolts in Arab dictatorships across the Middle East and North Africa — in what became known in the West as the Arab Spring. Kasserine was one of the first cities to rise up after the street vendor’s death back then. Seven years on, Tunisians say they are still struggling with corruption and poverty as inflation hit its highest level in 28 years in June this year. With unemployment hitting 36 percent last year, the anger and frustration of the younger generations in the country is not dissimilar to the pre-revolution days. The authorities who have taken over after Ben Ali’s ouster in 2011 had since attempted to portray the Tunisian revolution as successful and the country on the right path.